Clean, accessible water and healthy practices change everything for rural families trapped in a cycle of poverty. In Uganda, an estimated 24 million are still living without safe water. Together, we’re walking alongside families to do something about it. Since 2016, Lifewater staff and supporters have completed 101 water projects in rural Ugandan communities, serving 43,772 people with safe water, improved health, and the hope of the gospel. When families participating in the Vision of a Healthy Village approach begin practicing five simple healthy habits, lasting transformation begins. Meet five people from Uganda who know the powerful change that comes from clean water and healthy habits. Tibiwa’s children often missed school from waterborne sickness, and the family spent their money on clinic fees. Today, Tibiwa is a healthy and successful businesswoman. Through selling millet flour, she was able to open up a savings account and buy a plot of land. Tibiwa displays her millet flour. She’s now making plans to open a commercial building in 2019, one that she will use to sell her flour and rent shops to other businesses. Clean water and hygiene practices made all the difference. “The money [we] spent on water and treatments is what I saved to start the business,” she said. Veronica uses her school’s handicap-accessible well for the first time. For many years, lack of proper resources meant there were many things 12-year-old Veronica Magooba could not do on her own, like gathering water from the closest water source. 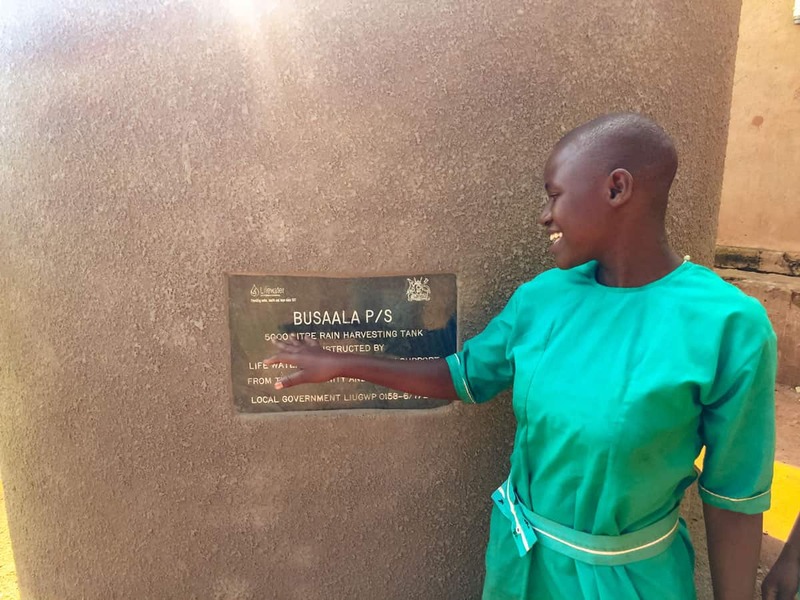 That is until generous Lifewater supporters established a handicap-accessible well for Veronica and her classmates at Bulumba Primary school. Today, parents are coming from all over the region to send their children—both able-bodied and disabled—to Bulumba Primary. 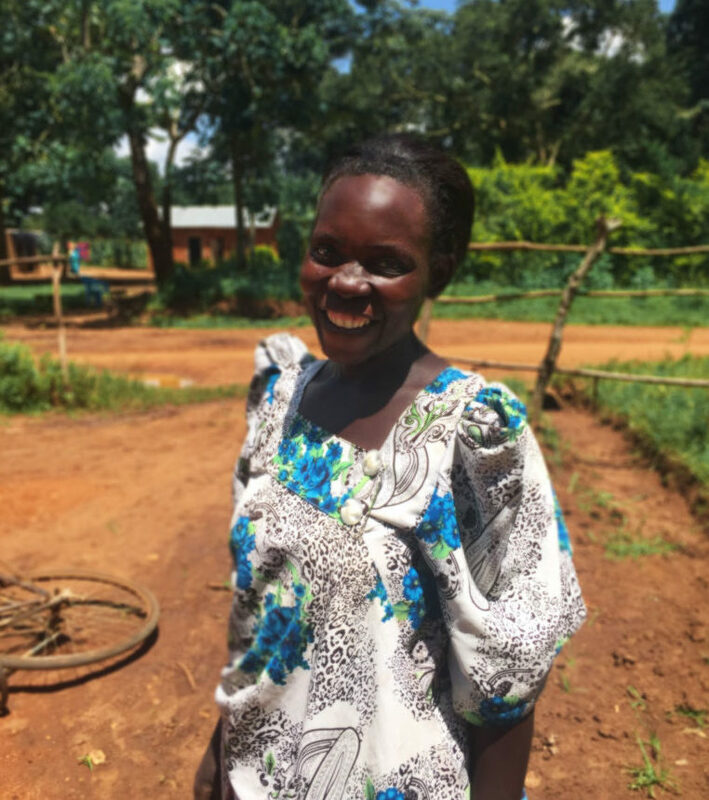 The well is a beacon of hope for children all over Uganda, and Veronica is pursuing her dream of becoming a teacher. Justine smiles in front of her certified Healthy Home. 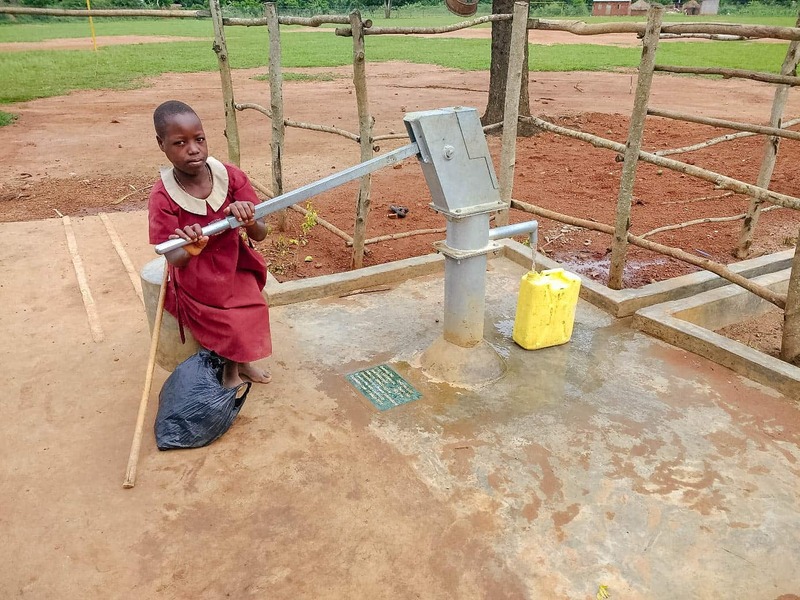 When Bukoba Central village received safe water and began practicing healthy habits, they immediately saw a transformation in their community. They were so thankful for their improved health, that they even traveled to a nearby village to help stop a cholera outbreak. By teaching them healthy practices learned from Lifewater staff, they were able to prevent many more deaths. Last year, waterborne diseases and long walks for water made it almost impossible for 14-year-old Rasheda and Sephoroza to keep up with their studies, and they nearly dropped out of school. 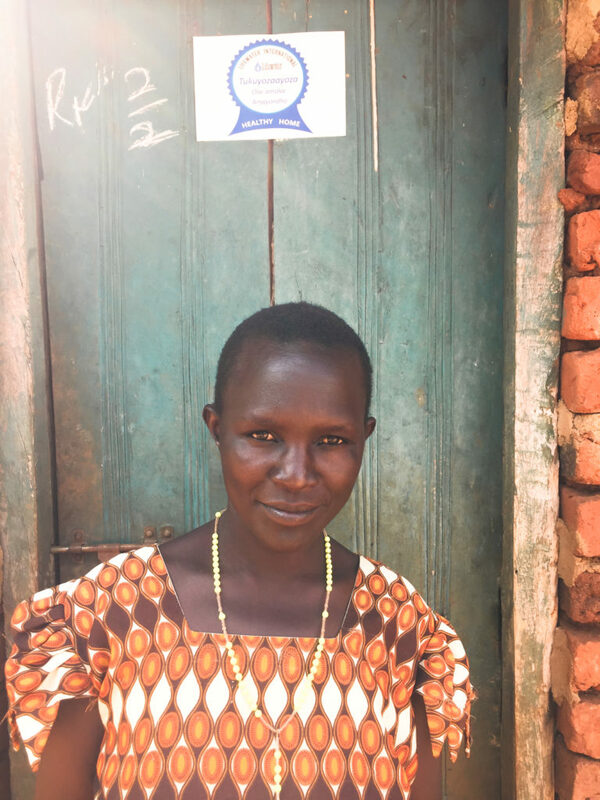 Lifewater supporters partnered with the PTAs at both Busala and Bwiite Primary schools to build safe water points, handicap-accessible bathrooms, and permanent hand washing stations. Today, they’re leading their schools in making healthy changes and teaching each household in their village how to practice five healthy habits. “My life is better because we have enough safe water to drink,” Rasheda said. Rasheda proudly reads the words inscribed on her school’s rainwater harvesting tank. Disease has reduced and more children are going to school. “We no longer miss classes because of health challenges, walking distances for water, and lack of menstrual hygiene,” Sephoroza said. Rose Mutensi leads her village. 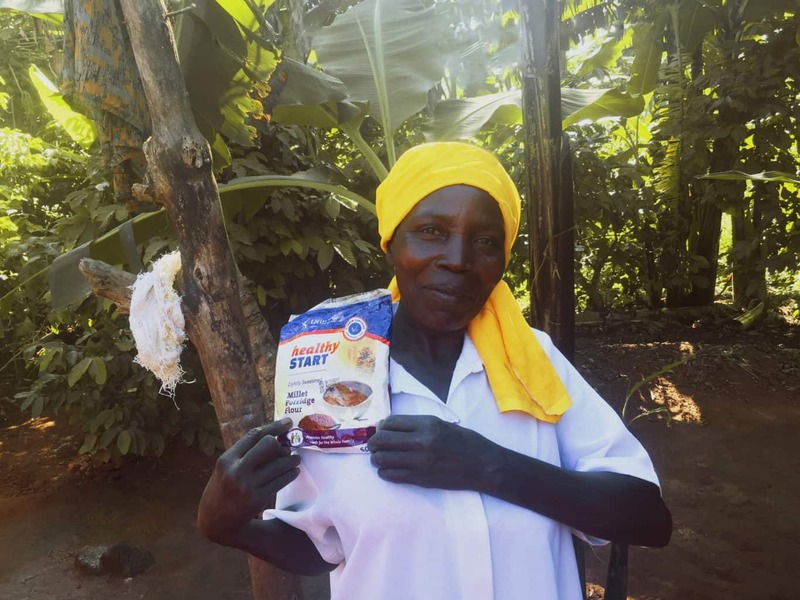 Rose Mutensi is a leader in Kamaya, Uganda, a village that was experiencing debilitating sickness and water poverty when Lifewater met them years ago. Rose advocated for clean water and for accountability among village leadership. Through her unceasing determination and leadership, Kamaya village was transformed. This year, generous supporters came alongside Rose and her village to provide clean water, improved health, and the hope of the gospel. Today, their repaired well pumps safe water to over 200 people in Kamaya. Clean water and health practices create a healthier, more hopeful future that allows people to thrive and spend time doing the things that matter most. Partner with people like Tibiwa, Veronica, Justine, Rasheda, Sephoroza, and Rose by helping to sponsor a village in Uganda. Explore villages waiting for sponsorship here.